Did you know that one of the most effective ways to combat many different illnesses and symptoms is CBD oil? If you are struggling through a disorder that regular treatments haven’t been able to touch, it may be time to consider using an alternative therapy such as supplementing with CBD. As a powerful anti-inflammatory, it can be used for a variety of issues because of its generalized impact on the body. Moreover, there is little evidence for adverse effects, making it possibly a better option for those wary of dangerous prescriptions, such as opioids. Read on to learn more about what CBD is and six key benefits of using it regularly. 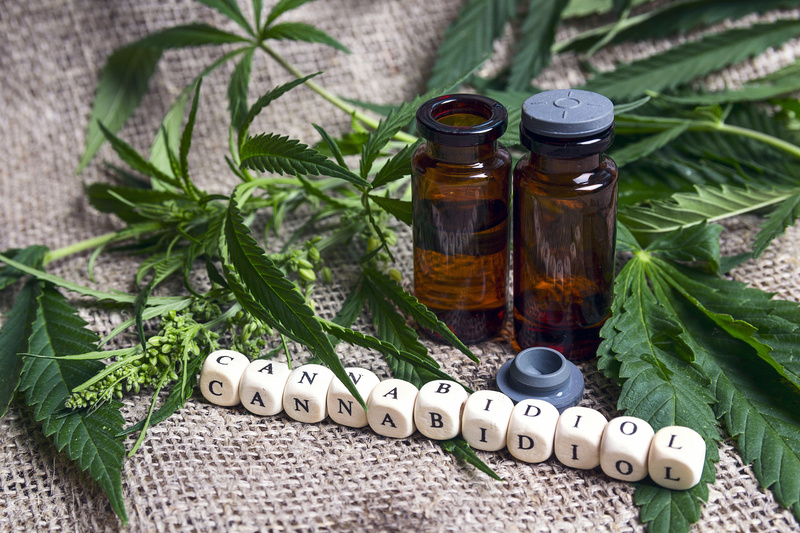 Cannabidiol (CBD) is one of the over one hundred cannabinoids found in the hemp and marijuana plants. Oils derived from these plants that have a high dose of CBD are referred to as CBD oil. It works by hacking our own bodies endocannabinoid system, which is involved heavily in the immune system. This system has a number of receptors throughout the body. In fact, they are the most abundant throughout neuromodulatory receptors in the entire body. Cannabinoids found in many different plants, including hemp, are thought to bind to these receptors and have beneficial effects in this way. Some scientists even speculate that certain diseases are the direct result of a deficiency or dysregulation of this system, and supplementing with them helps in these diseases. All considered, there are plenty of benefits that have been observed with CBD oil in helping certain conditions. Here are six benefits of using CBD, especially for particular issues or symptoms you or a loved one may be facing. One of the most established uses of CBD is for anxiety. There is growing research that suggests that it is helpful for different mental illnesses, including anxiety. A study by the University of São Paulo in Brazil found that CBD had a positive impact on patients with generalized social anxiety disorder, compared the placebo. Moreover, a review of the research in 2015 found that CBD may be an effective novel acute treatment for generalized anxiety disorder, and other similar disorders. As the most common mental disorder in the United States, the potential benefits of CBD are great for lowering anxiety. There is evidence to suggest that CBD has an anti-tumor effect on cancer and that it also can help relieve some side-effects of cancer treatment. Cannabinoids have also shown promise against the spreading of cancer. That said, this should not be taken as a substitute for medical treatment or a cure for cancer by any means. However, future research may help us understand better how CBD can help with it as a complementary option. Perhaps most importantly with the current body of knowledge is the benefit of CBD for the side effects such as nausea, fatigue, and loss of appetite, all of which are common with chemotherapy. Autoimmune disease includes well over 100 medical conditions that involve the immune system mistaking its own cells for threats, as it would a pathogen. Because CBD oil appears to have an anti-inflammatory effect, it seems to calm down an over-active immune system. Systematically by reducing inflammation through the many receptors in the body, it can help people with these diseases enjoy their lives. Pain relief is one of the most touted benefits of CBD. This is again likely due to its anti-inflammatory properties that work with the immune system. With highly addictive prescription painkillers as an alternative, CBD can be a much safer choice. A pharmaceutical study found that it showed promise for the treatment of difficult pain, without any of the addictive properties of opioid drugs. As well, read more now about how CBD oil could also be good for combating arthritis pain. Studies have observed that CBD oil can actually lower blood pressure, and possibly promote overall heart health. With heart disease listed as the number one cause of death in the United States, this is incredibly important. This may be caused by its ability to reduce stress, and its antioxidant properties. An experiment on mice found that CBD actually prevented heart damage on animals with heart disease by mediating oxidative stress. The most well-established benefit of CBD is for seizure treatment, especially in rare and hard to treat cases. A study with researchers from hospitals across the country gave over two hundred people with severe epilepsy 0.9–2.3 grams of CBD oil per pound of their body weight. The occurrence of their monthly motor seizures reduced by 36.5 percent. This preliminary research suggests that the cannabinoids may be used to modify the signaling systems of the brain. While the neurological effects of CBD oil are not well-understood yet, but there are clear signs that it works. The many benefits of CBD oil are clear, but it is important to find the right one. Due to the relatively young age of this industry, it isn’t well regulated quite yet. Different brands may have different processing for making CBD oil or products. Therefore, it is a good idea to research potential companies and to ensure you inquire about their extraction methods. Additionally, try to find a brand that sources U.S. hemp as this is better regulated than foreign hemp. Finally, you can always ask for the lab tests or third-party testing results that definitively prove how much THC is present in the oil. Typically, when the CBD oil is “full spectrum”, it is also of higher quality. Interested in improving your health in other ways as well? Check out our article on tips and devices that benefit your hearing health.